Andrus Peat-I would prefer to keep him longterm because although he's not Nicks/Evans etc, he's still a more than capable and versatile LG when healthy and under the right contract. If we can do an extension or whatever to make it a 5/30 deal and lower the hit this year to about 5 mil then I would be really happy. Max Unger-When healthy and playing well, a great player for us, but he's been lacking in both departments. He needs a restructure or just straight up release as we can get a quality younger center just for what his cap savings would be alone. Kurt Coleman-Just overpaid. We can just straight up cut him and save 4 million. I would offer him the choice of doing a restructure/extension that lowers his cap total to about 2 mil a year just for the vet presence, but letting him go would be fine as well. Cameron Meredith-Really hoped he would work out, but dude still can't get healthy see the field. I almost htink he was a healthy IR because he just wasn't getting it. Cutting him provides another $3.75 we can send Thomas' way. Larry Warford-He's been good, and he's about to enter 2 years left and still fairly young for OL at 27. I think if we can push his contract to go a little further we can clear up some money this year and keep him longer. The big problem I'm seeing is in 2 years there is likely an NFL stoppage and teams are negotiating with that in mind. I think we might not see any real big moves that are long term and players being more selective in the offers they take hoping to not be left out after a new CBA is worked out that might include a big influx in cap due to gambling money. Whatever happens 2021 picks shouldn't be touched. I think our best chance at getting a QB talent would be Josh Rosen actually. Haskins is a much better talent than Rosen and the Cardinals new coach is in love with Kyler Murray. 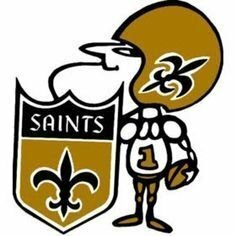 So if Murray or Haskins is drafted by the Cardinals, I think the Saints definitely need to look at trading for Rosen. He didn't do well in Arizona but really no one would've and would give us a QB talent to develop on a rookie deal to continue the run. We need oline depth, especially at Left tackle. Having no back up plan for when Armstead goes down is killing the team. Every team is hurt by injuries, but there's no excuse to go from the best oline in the league and scoring 36 points a game to looking like garbage. We need a TE and another receiver. Need a RB if Ingram leaves. I don't think Unger is nearly as expendable as some of you seem to think. I know the middle of the line had its issues at the end of the season but I'm putting that on Peat and Warford way more than Unger. We simply had too many injuries and people trying to play hurt. Peat I'm on the fence about. We know how good he can be when he is healthy. He was not ever healthy this year. But even if he is 100% I don't love him at that cap number. I don't think Ingram is at all expendable either. We clearly had issues on offense when he was suspended those first 4 games. We need that dude. You're not going to draft a RB who will just waltz in and fill his shoes like nothing ever happened. And obviously we need a TE. We at least need somebody on Watson's level, doesn't have to be a superstar just a guy who can block and catch 45-50 passes. I would lose Coleman, Crawley and Teo (I like Teo but hell he wasn't even active most of the season). I'm also not sure we need a 32-year-old Patrick Robinson at $5.4 million. I’m also not sure we need a 32-year-old Patrick Robinson at $5.4 million. I agree, but there’s really nothing we can do about that one. Cutting him costs us more than keeping him. Trade would be the only option for 2019, otherwise he’s coming back. Mark Ingram- Hope we attempt to resign him. Doubt he asks for too much $$$ given his age, and seeming to be pretty happy in New Orleans. Dez Bryant- If he is recovered from the Achilles I hope we bring him in at some point. Seems he is all about joining the Saints. Teddy Bridgewater- Hope he is brought back. I still think he could be our next QB after Brees. Might be tough to convince him to be a backup for another season though. Will Lutz- Needs to be resigned. Has been great for us. Andrus Peat (Saves $9.62m with $0 in dead money assuming he's healthy and can be released before the start of the 2019 season)- Cut him. Max Unger (Saves $6.95m with $1.75m in dead money)- Torn on this one. Would be tempted to try and restructure him as he is getting up there in age. AJ Klein (Saves $4m with $2m dead money)- Bring him back. He's been solid for us, and I'd hate to break up a LB core that appears to be a quality unit for us. He's still fairly young. Eli Apple- Likely look to resign as well if he doesn't ask for too much $$$. We have a very talented core both on offense and defense. Brees is obviously the question mark as we just don't know if we see a drop off in play from year to year. I think if we can convince Bridgewater to resign, I'd be all for it. His brief audition against Carolina wasn't really something we can put much weight in given how many starters we rested on offense, but I think there are tools there with him to keep us a competitive team if Brees gets hurt, or his play level drops dramatically next year. That said, I'd imagine that will be a tough sell to keep Bridgewater around another year as a backup. Wouldn't mind getting rid of Peat and looking elsewhere for a LG. I also wouldn't be opposed to adding a young explosive WR to groom in opposite Thomas via draft or free agency. 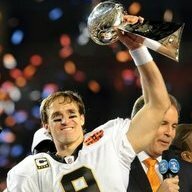 Brees is under contract for two more years? I thought he was just under for 2019? You’re right. His contract has 2020 listed with a salary, but there’s a clause where it will automatically void at the end of the 2019 year, making him a FA a year before his contract is officially up. Same with how Teddy is a FA this year but is technically only on year 1 of a 3 year deal. Just moving money around and being sneaky with it. I caught it with Teddy’s contract, but not Brees lol. So that $16m cap hit on Armstead is really glaring. 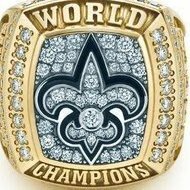 I think we restructure him or try to trade him, we can't pay a perpetually broken man $16m in what will now be the most important season in Saints history. I think we'll see a bunch of restructures. Armstead, Peat and possibly Unger come to mind. Coleman, Klein and Meredith will be cut.